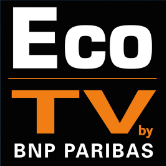 Hello and welcome to our February 2019 edition of EcoTV, the video magazine of BNP Paribas’ economists. At the top of this edition, we will look at economic forecasters, who seem to have the blues. Both the IMF and the contributors to the ECB survey have lowered their growth forecasts. We will ask our Chief Economist William De Vijlder to explain these downward revisions. We will also ask William whether he has lowered his own forecasts. Next, the Chart of the Month will take us to the emerging countries. François Faure will talk about the upcoming economic slowdown and its impact on the emerging countries. We will also examine the debt question. We will conclude with Three Questions on Mexico for Hélène Drouot. A few weeks after Andrés Manuel López Obrador was sworn in as Mexico’s new president, we will review how investors perceive his first decisions. William De Vijlder, thank you. We will now look at how these growth expectations will affect the emerging markets and their debt. We will be back in a moment with François Faure and our Chart of the Month. The economic slowdown that William De Vijlder just spoke about will also hit the emerging countries. We will look at debt in particular, the Achilles’ heel of the emerging economies. How is the debt situation in the emerging countries in early 2019? Exactly. And it has continued to rise throughout 2018. Excluding China, the debt ratio was more or less stable. Yet it is higher compared to the debt ratio just before the 2008-2009 financial crisis. This is why the IMF and other international financial institutions are saying that deleveraging did not occur. Let’s take a closer look. Which countries will face higher debt servicing? To measure the vulnerability of each country, we calculated the total amortization of bonds and syndicated loans as a share of foreign reserves. This chart shows the countries with the highest ratios. They can be divided into two groups. The first is comprised of countries with a rather strong macroeconomic situation and fundamentals. This is the case for South Korea, Mexico, Malaysia, and China. We are not really worried about these countries, despite relatively high ratios. The countries in the second group, in contrast, are much more fragile. They include Ukraine, South Africa, Turkey and Ghana, which have rather high ratios. Moreover, Ukraine’s debt burden has increased sharply over the past three years. To conclude, if a problem were to arise, could their heavier debt burden lead to a credit crisis? The answer is not really. ECB economists published a study recently. If we compare the current situation to the macroeconomic conditions that prevailed at the time of the big Asian financial crisis of the late 1990s, the probability of a crisis has only increased in very few countries, namely, Turkey, Ukraine and Argentina. François Faure, thank you. We will be back in a moment to talk about Mexico with Hélène Drouot. In any case, the coming months and years promise to be very interesting as far as Mexico is concerned. Thank you Hélène Drouot. Tune in next month for another edition of EcoTV.